In Part I, I explored the topic of why do you eat what you eat. I would like to continue this topic in today’s Part II. Let’s take a moment and think about nature in general. I think we all can agree that humans are mammals. If not, go back to school and revisit a science book. It’s been scientific proven that humans are a part of nature. We may have more intelligence than other species according to scientific research but what about when it comes towards what we eat? 1) Providing a decent amount of income for their families. Other mammals are just trying to survive one day at a time. They understand all they have to do is eat, sleep and avoid predators. To be such an advanced specious we overlook the basics. If a cow grows up to be healthy just by eating the same grass every day, why can’t we do the same with our healthy foods? By having such a sophisticated palette, we tend to get bored easily. As a kid, how often did you actually like those vegetables on your plate? You most likely gravitated towards candies, desserts and other colorful boxes. If you embraced those colorful boxes growing up, you most likely stayed in your comfort zone by continuing to eat from those boxes for decades. 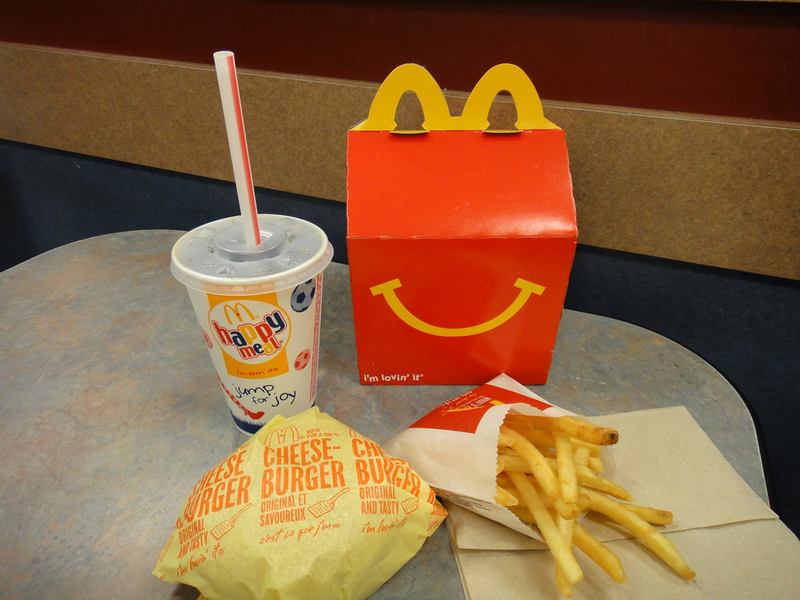 Who didn’t eat McDonald’s Happy Meals as a child? Getting a “free” toy made you want that meal even more. It had nothing to do with the hamburger and fries. It was all about the special bag or box it came in along with the toy. At that young age, you associated fun playful things with McDonalds. That led to your first fast food relationship. Over the years you developed a taste for what they were providing and kept it up. You could not fandom a hamburger without those golden fries. You probably never got great at actually ordering the actually individual food items. It’s no coincidence that fast food joint menus have combinations by the numbers. Because you’ve been groomed to follow that procedure without even putting much thought into it. Fast food joints are just making it easier to keep you doing what you’ve always been trained to do. 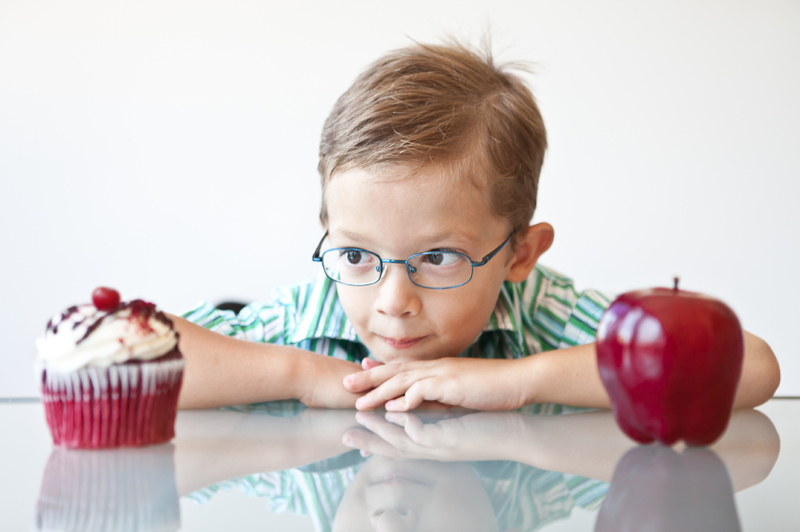 As a child did you always have dessert after every dinner? Was dessert a rare treat? In my household I looked at it as that special something I got if I ate whatever was on my plate. If I knew I could get dessert by eating spaghetti, you better well believe that 10 years down the road, I probably grew a liking for spaghetti and desserts. The reason I really like spaghetti is simply the reward factor of getting dessert. How often do you have special desserts? Do you always serve the same desserts during the holidays? There’s a reason why you only think of that food as seasonal. The first memory I always have of 1st grade is snack time. During snack time, we would be allowed to have some type of treat with milk. To participate you had to pay about a quarter. It was during snack time that I had my first school chocolate milk. From the young age of 6 until sixteen, I was a chocolate milk fiend. 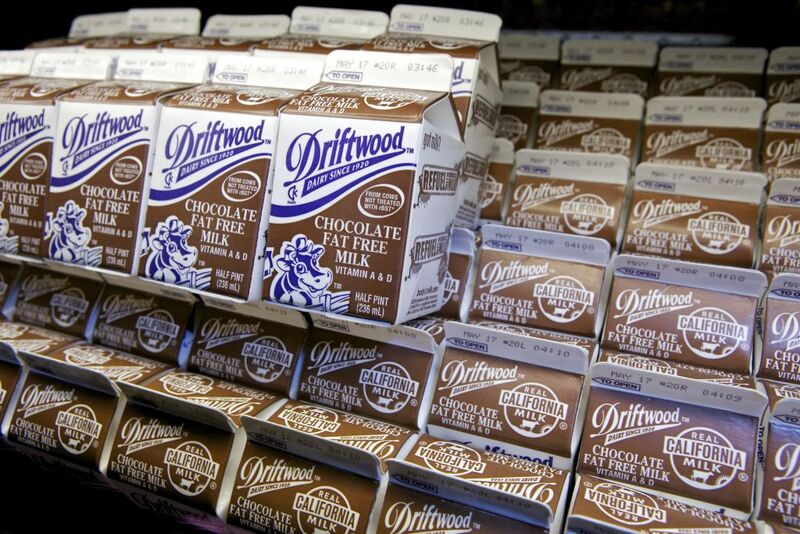 There was never a school lunch in which I did not drink chocolate milk with it. Eventually as I got in my later teenage years, I realized how sweet it was and just got plain milk. But for a good 10 year run, I was all about the cocoa powdered infused milk! It’s amazing at how many unnecessary calories I ingested by one simple snack choice as a youngster. Do you have a food from your school days that have carried over to you into adulthood? 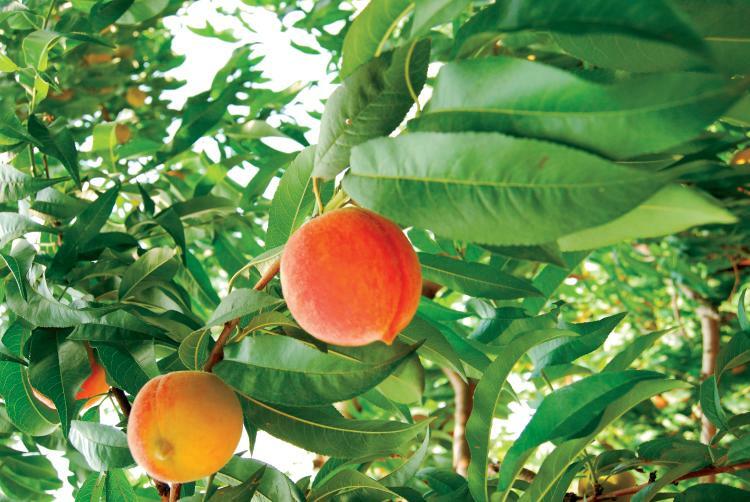 Our food choices come from our living environment as a whole. There’s a difference in perspective if you live in the middle of a metropolis vs. out in the deep country. In the city, you are limited to what is easy to get into your apartment. If you were raised in this type of environment, mega grocery stores are not something you encounter on a daily basis. You most likely are use to the small grocery stores with limited supplies. With the limited options come limited choices in what food choices you selected. If there are convenient cheap fast food restaurants on every corner, you’re going to eat differently than the person out in the countryside with fresh vegetables in their backyard. Those who grow up in farms way out in the country are going to be use to seeing open green land. The green landscape has a calming affect, and they see food in its natural habitat. They understand that apples have to be physically picked from a tree. They’ve seen potatoes scooped from the soil and washed off. They’ve seen fresh eggs plucked from chickens. They will have a closer relationship to their food sources. For those who only experience food sources in grocery stores, there’s going to be a HUGE disconnect in what you eat. It’s easier to not put a face on that animal if all you see is packaged foods with cute names like “bacon”, “nuggets”,“hamburger” or “milk”. Food is food to those who are disconnected. It’s just a simple process. If it’s just a process to you, doesn’t that explain why you eat what you currently do doesn’t it? There’s no real relationship. You just heat and serve before popping it into your mouth. Each day you make choices on what you eat. You naturally will do what’s easy which is what you’ve always done. If grounded with unhealthy disciplines to begin with (Part I), you’re going to keep that up. As the days turn into weeks which turn into months which turns into years…that’s what you see when you look at your dinner plate tonight. That dinner is just one of thousands that have led to the way you currently look in the mirror. Those food decisions did not just happen overnight. It’s been developing for a long period of time. If it took you this long to develop your current eating habits, do you really think you’re going to instantly get better with some type of “30 Day or less Fat loss” diet? Stop falling for the traps! The real change happens when you understand what got you were you are now. If you are trying to improve your eating habits, understanding these basics is a good place to start building your new eating habits. Get started today! Check out Release The Beast if you need help in making your decisions! Next Next post: Who’s Winning Your Dark Internal Battles?